We Wrote The Book, Literally. Order your copy of Pennsylvania Family Law Practice and Procedure With Forms (Vol. 17, West's Pennsylvania Practice) written by Joanne Ross Wilder and updated annually by Brian McKinley, Darren Oglesby & Bruce Lord Wilder. If you are separated or divorced and have a custody agreement or order with your ex or parent of your child, an unsettling thought may be the idea of relocation. What if your former spouse decides to relocate to another state – or even another country? 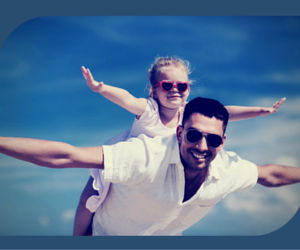 What would happen with your custody agreement? Would they take your child? Those questions can make you feel uneasy, but rest assured that there are statutes and rules that must be complied with in order for any relocation to occur. According to the Pennsylvania Child Custody Act, a relocation is “a change in residence of the child which significantly impairs the ability of a non-relocating party to exercise custodial rights.” In the past few years, the custody law in Pennsylvania regarding relocation was amended; it now provides for strict review by the court. Relocation is no longer permitted absent the fulfillment of strict notice requirements and the provision to the other parent of an opportunity to object in court, and approval by the party and/or court. If you are served with notice of an intention to relocate by your spouse or former spouse or parent of your child, or if you believe it is in the best interest of your children that you be permitted to relocate with them, you should consult with a firm, such as ours, that focuses on family law and has a wealth of experience in the child custody realm. Meet with our lawyers at Wilder Mahood McKinley & Oglesby to discuss your situation thoroughly and assess your options for child support and child custody that is best suited to you and your children. To learn more, contact us online or call our law firm at 412-261-4040. Wilder Mahood McKinley & Oglesby, in Pittsburgh, Pennsylvania, represents clients in family legal matters. The firm serves clients throughout western Pennsylvania, including those in the cities of Pittsburgh, Greensburg, North Hills, Cranberry, Murrysville, New Castle, Washington, Uniontown and Butler. The firm serves all communities in counties including Allegheny County, Butler County, Westmoreland County, Fayette County, Indiana County, Cambria County, Blair County, Lawrence County, Washington County, Beaver County, Armstrong County, Greene County, Bedford County, Mercer County, Crawford County, Venango County and Erie County.